2 Bedroom Link Detached House For Sale in Milton Keynes for Offers in excess of £300,000. Situated in the highly sought after location of Oakgrove sits this incredible modern 2 DOUBLE bedroom home with allocated offroad parking. 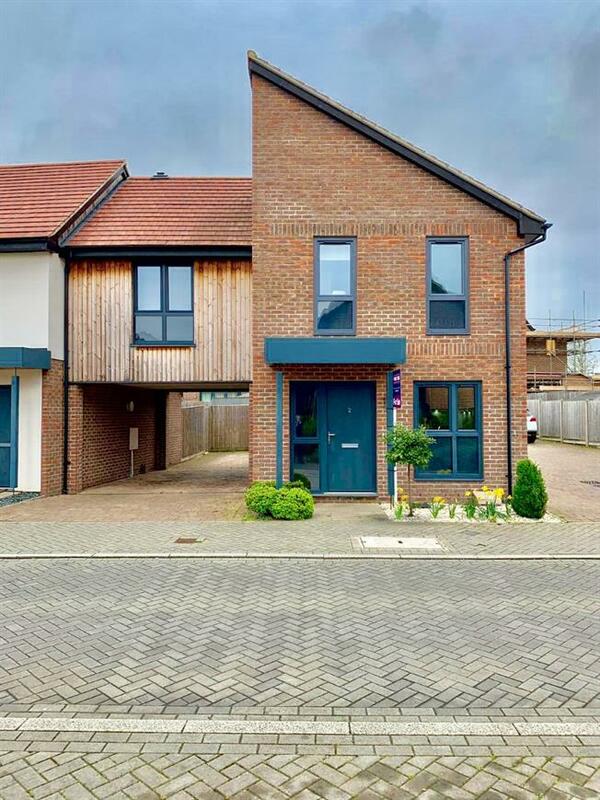 Oakgrove is a newly developed area, the amenities just a stones throw away from this property are some of the best in any Milton Keynes development with a Waitrose, Costa coffee and metro bank to name a few. You are also within walking distance of both primary and secondary schools with Oakgrove having a superb reputation for being one of the top and most sought after schools in Milton Keynes. Oakgrove is well placed for commuters and families being located between Milton Keynes City Centre and the M1 Motorway both within a 5-7 minute drive away. The mainline station in central Milton Keynes offers an excellent regular service to London Euston. There is also a huge range of shopping and leisure facilities for couples and families are surrounding Oakgrove. Enter the property via the composite front door, you have stairs to the first floor, triple glazed window to front and doors leading to kitchen, WC and lounge diner. INTEGRATED APPLIANCES including dishwasher, washing machine, fridge freezer, electric oven, gas hob with extractor. You have plenty if storage space with wall and base mounted units which have under counter lighting for a real modern feel. Light and airy Lounge diner with double glazed french doors leading out to the garden, as throughout the downstairs of this home you are spoilt with Amtico flooring. Two triple glazed windows with views over your garden and built in wardrobes maximising your space. This double bedroom has views over the front from the triple glazed windows proving and light and airy space.